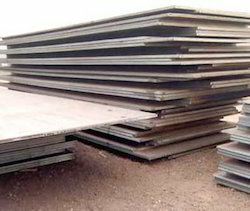 Exporter of a wide range of products which include high manganese steel plates, manganese cut plates, manganese steel plates and manganese plates for shot blasting machinery. 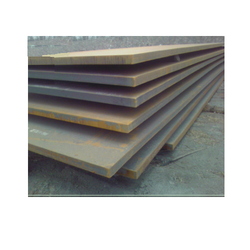 High Manganese Steel Plate Leveraging on our vast experience, we have been able to offer an extensive range of High Manganese Steel Plate. These products are features with fully austenitic, quench annealed, non-magnetic and work-hardening steel with an exceptionally high level of wear resistance when subjected to work. The offered range are hardening by shock or high impact pressure in service. The standard of this 12-14 % manganese includes: •CREUSABRO, 12-14% Manganese Steel, •Head field manganese plate, •Manganese steel, ® M / X120 Mn12 / 12-14% Manganese. Features: •Severe wear on the surface has a work-hardening effect on the austenitic structure of this steel. •This, when combined with the level of carbon in accordance with the international standards, leads •To increase hardness from 200BHN (in as delivered plate) up to an in-service hardness of at least 600BHN. •This work-hardening capability renews itself throughout in-service life. The under layers not work-hardened maintain an excellent resistance to shock and a very high ductility. Our firm is instrumental in offering a wide assortment of Manganese Cut Plates to the clients. Due to their features such as longer service life, sturdy construction and high tensile strength, these products are highly demanded in the market. These products are used mostly by earth moving and excavation companies because of the strength of the materials. 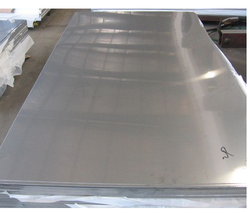 These are high manganese steel plates with manganese contents of (11% - 14%) for process impact hardening mainly for short blasting and direct impact zone industries. We maintain stock from 2mm to 20mm ready at our mumbai warehouse. 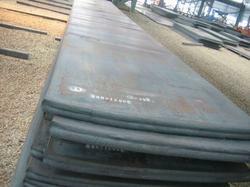 Looking for High Manganese Steel Plates ?